CoverGirl responded on Monday to an altered ad for its NFL makeup line showing a model with a black eye that went viral over the weekend, by affirming its support for the league and giving no indication it would bow out of its NFL sponsorship deal in the wake of the controversy surrounding star player Ray Rice's suspension for domestic violence. “COVERGIRL believes domestic violence is completely unacceptable. We developed our NFL program to celebrate the more than 80 million female football fans. In light of recent events, we have encouraged the NFL to take swift action on their path forward to address the issue of domestic violence,” the company said. 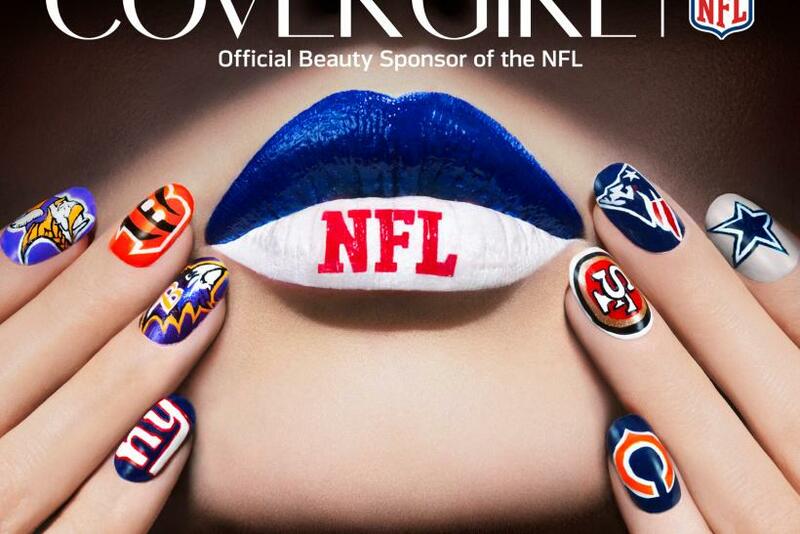 CoverGirl, the “official beauty partner of the NFL,” recently released a series of ads tagged “Get Your Game Face On” to encourage women to wear their favorite team's colors, reports NBC News. The altered image shows a black model with Baltimore Ravens-colored makeup and a black eye – presumably as a statement on the scandal surrounding the team’s former running back Rice, who was indefinitely suspended last week after video footage surfaced of him punching then-fiancée Janay Rice in a hotel elevator in February. On Twitter, the image was shared with the hashtag #GoodellMustGo, alluding to NFL Commissioner Roger Goodell, who has faced criticism in the aftermath of the Rice video going public. Evidence acquired by the Associated Press on Sept. 10 showed that Goodell may have known about the video months before it surfaced publicly two days earlier. Since the Ray Rice video emerged, three other NFL players have made headlines for similar incidents. Greg Hardy of the Carolina Panthers was benched on Sunday for being convicted of domestic violence this summer. Adrian Peterson of the Minnesota Vikings was also absent for his team’s Sunday game after a grand jury indicted him on felony child abuse charges. Shortly after turning himself in to East Texas authorities, he was released on $15,000 bail, according to the Montgomery County Sheriff's Office. Ray McDonald of the San Francisco 49ers played on Sunday despite being involved in a domestic dispute with his pregnant fiancée on Aug. 31, the Sacramento Bee reported. Sunday’s game, between the 49ers and the Chicago Bears, was the first game in the new Levi’s Stadium. Goodell, who typically attends all NFL stadium openings, was not in attendance, according to Sports Illustrated. While hotel chain Radisson backed out of its sponsorship deal with the Minnesota Vikings in the wake of Peterson’s indictment, sports-industry experts agree that major league-wide sponsors probably won’t back out of their partnerships with the league, despite the latest developments. "I think the sponsors are monitoring this, but I don't think we've seen any negative effect on the league's business to date," Irwin Raij, a sports-industry expert and co-chair of Foley & Lardner's Sports Industry Team, told USA Today. On Monday the NFL announced it will hire four women advisors to shape its stance on domestic violence, CBS News reported. Robert Tuchman, a sports business expert and president of sports and entertainment marketing company Goviva, says moves like this can turn the NFL’s tarnished image around.